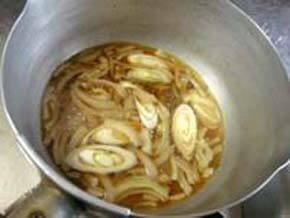 It boils well in order of an onion and chicken, and puts in and finishes beaten egg in 2 steps. 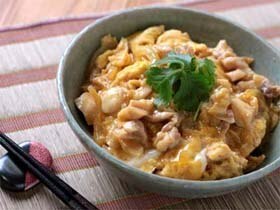 It is a recipe for delicious Oyakodon(Chicken and Egg Rice Bowl). Ingredients is written by a part for one person. A Japanese leek is diagonal cut. 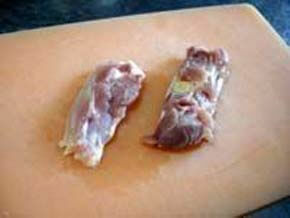 Chicken cut into 2cm wide band. 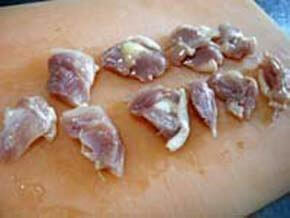 Moreover cut the chicken diagonally at intervals of 1cm. Crack an egg, Beat an egg. 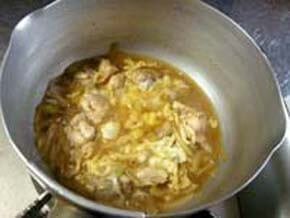 Put chicken bone soup stock, water, sweet rice wine, and soy sauce in a pot. 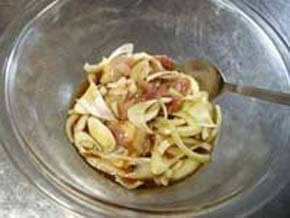 Add onion and Japanese leek. Cook it over medium heat about 1 minute from the boiling. 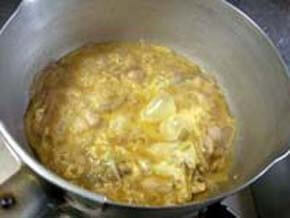 Moreover Cook 2 minutes add the chicken. 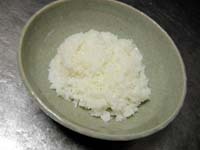 During this time Serve rice in a bowl. To high heat. Add half of the beaten egg turn from the center. 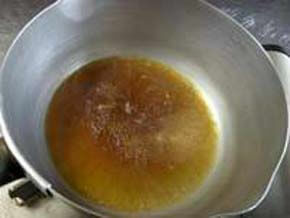 Shake the pan lightly in a circular motion. 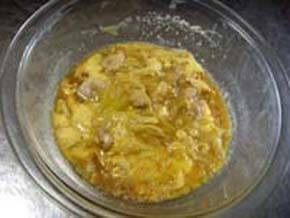 Added to the remaining beaten egg So as not to hit the perimeter of the pot. 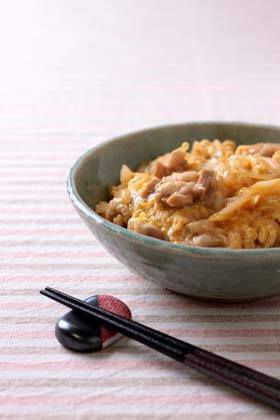 Became a soft-boiled Placed on top of the rice. 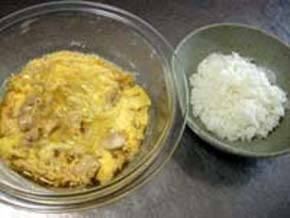 Completion of delicious chicken and egg on rice! ! 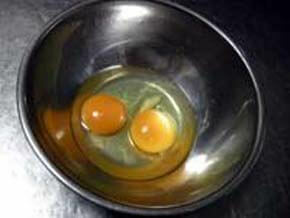 memo ・ Beaten egg puts in large part of the white first. 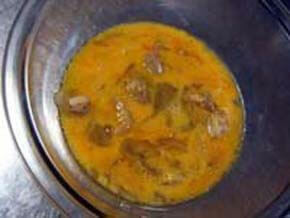 It is made for the yolk to increase when putting into the 2nd time. 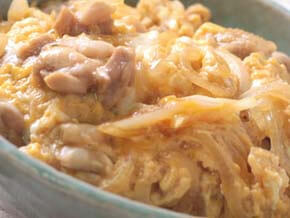 oyakodon can also be made using a microwave oven. 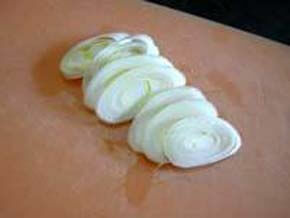 Onion, thinly sliced perpendicular to the fiber. A Japanese leek is diagonal cut. Trefoil, cut into 3cm width. 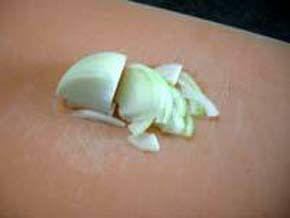 Chicken cut into 2cm wide band. 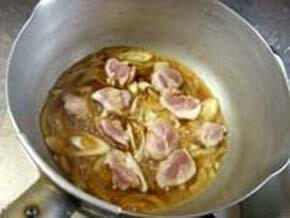 Moreover cut the chicken diagonally at intervals of 1cm. 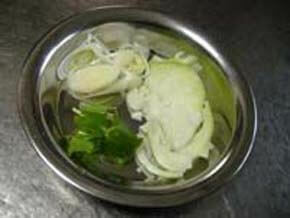 A heat-resistant container to put the ingredients.Mix. Cover loosely with plastic wrap. 3 minutes to 4 minutes of heating in a microwave. Mix in a bowl at a time. Turn over with beaten egg. In addition, cover with plastic wrap. 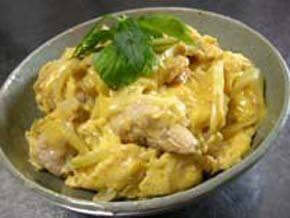 Heated for 1 minute to 1 minute 30 seconds in the microwave. Mix gently with a spoon. If desired Adjust the eggs are of fire. Peel with a spoon the eggs are attached around the heat-resistant container. Placed on top of the rice as slide.